Our world has known violence for many millenia. Humans, with all our intelligence, have used it to gain power over one another. One would think over these thousands among thousands of years, we would have outgrown it and have found better ways to resolve issues. However, during this first decade of the 21st century violence seems more rampant both in our daily lives and hangs over us like a ticking time bomb threatening the very existence of our species. I grew up seeing violence in my home. This type of parental cruelty to each other should never be witnessed by any child and yet children are afflicted with it in heaping measure each day. Many times the violence spills over to the children themselves and they are forever scarred, not only physically, but, for some, forever emotionally. The collateral damage is immeasurable. Spousal abuse continues to rear its ugly head in all societal levels as women and even men in some cases are objectified by their partners. I have seen with my own eyes recently the effect on friends when uncontrolled anger turns into physical harm over conflicts in a relationship. No matter what the issue, physical abuse or attacks are not acceptable. It is a frightening scene to see someone turn into an animal over an emotional problem. Today, I see people blowing up buildings and hurting innocent people as a way to further their cause. They believe their violence is divinely inspired. Murder and killing are not heaven sent no matter what faith you belong to , they come from the deepest and darkest part of a human’s soul. I would rather walk in the footsteps of a Ghandi or a Martin Luther King, Jr. who both knew that peaceful, non-violence could change the world and resolve more than any violent act could ever do. As I look into 2010, I want to be an advocate for peace. I want to advocate resolving our differences and even our heartbreak in ways that does not involve a fist. 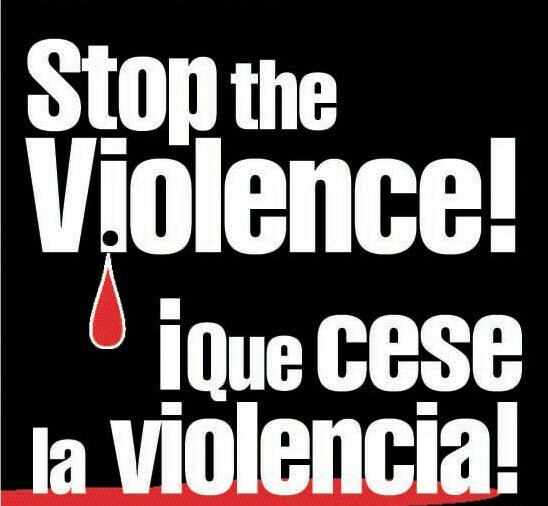 I want the legacy of violence to be changed to a legacy of peace …starting one peaceful act at a time.